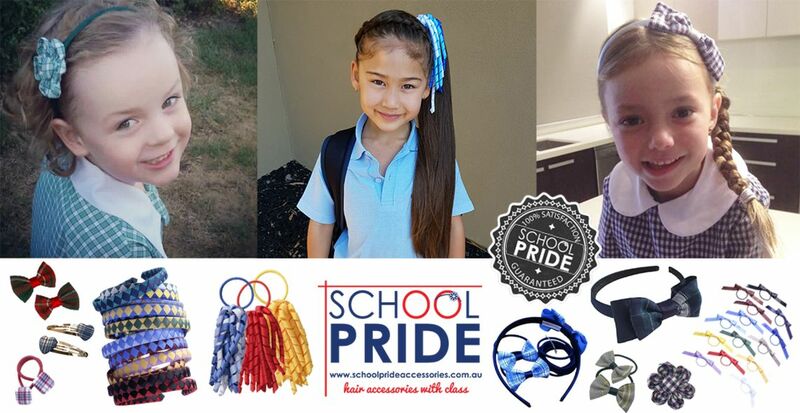 Bringing you the best quality uniforms and school hair accessories. 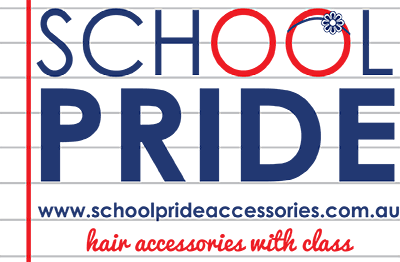 Specialising in uniform fabric hair accessories, retail and wholesale. Excellent customer service. 100% Guaranteed satisfaction. Every school needs a little bit of School Pride. Made in Melbourne. "I am so happy with the order… The quality of the (reader) bags is great. We are using them for learning packs for take home activities." "Hi Naomi…I received my products this morning and just wanted to say a huge thank you….…m so thrilled with how they turned out! Your service has been exceptional and your complimentary gift made my little girl's day! Thanks again…x"
"Hi Naomi…I received the parcel, and I am over the moon. Absolutely love the products. I will be buying from you again…Thanks again for your quick service." "School photos today - love that her hair accessories perfectly match her uniform! Thank-you!" "Oh I adore our order!! Thankyou so much!!" "I just received my parcel. Thank you so very much :) what great service!!!" "Thank you for the extra speedy delivery! Great products and even better service :)"
"Just letting you know that our accessories arrived today, and they are fabulous! Thanks for the wonderful customer service, and for the added extras too - they were much appreciated!" "Thank you for your immediate response in adding our school to your list, and for your quick turnaround and delivery, making us completely set for the beginning of school next week!" "I LOVE your accessories and would love them for my daughter who begins school next year." "Thanks so much Naomi, I just love the flower bands and headbands as well as the heart hair ties!!" "Thank you Naomi, they look amazing the girls will love them." "Love it all Naomi. Everything looks great on my daughters. Thanks Heaps"
"I just received my order, thank you so much, it is all beautiful, especially the custom korkers! Thanks for such excellent service. If anyone asks where her stuff came from I’ll pass your details over! " "Hi Naomi, i received your products and they are great." "Thank you for sending not only the 2 school headbands, but the other pretty one with the flower. My daughter (Naomi) was thrilled and even more so when I told her that you had the same name! Thank you again." "Thank you so much. I love the products you have on your site. I cannot find anything in NZ like what you have." "Thank you so much for our order...I’m totally in love!"